If you’re not buried in awards season like I am (yeah, I know, I still haven’t seen Lady Bird) then this is the perfect week to spend some time at the Northwest Film Forum. Not only do they have, on Wednesday and Thursday, two different short film programs by celebrated experimental filmmaker Nathaniel Dorsky, with the director himself in attendance, but this weekend they’re playing the recent restoration of Jean-Luc Godard’s La chinoise, in which Jean-Pierre Léaud, Julie Berto and Anne Wiazemsky bring Maoism to Paris. One of the last films of Godard’s early period, with one foot in popular cinema and another in serious political thought and activism, it’s a difficult film to get a handle on. The last time I saw it, I was convinced it was a wicked satire on rich kids playing at Leftism, but now I’m not so sure. I should see it again. I still haven’t seen any of the big art house movies, including Lady Bird. And I’m running late this week because of the holiday, so I’m going to stick with this, now expanded to a few more theatres around the Sound. Although it should be noted that Takashi Miike’s Blade of the Immortal is now in its fourth week at the venerable single-screen theatre, so you should probably check it out. Here’s Ryan on Lady Bird: A24 continues their remarkable streak of films that played at the New York Film Festival and focus on young people with Greta Gerwig’s solo directorial debut Lady Bird. While it has clear strands of DNA from Gerwig’s prior great films co-written with Noah Baumbach, the movie possesses a easy sprightliness all its own. Starring Saoirse Ronan as the eponymous high school student over her senior year as she navigates filial, romantic, and platonic relationships in the staid environs of Sacramento, it is one of the sweetest and most deeply felt films of the year. The unexpected programming highlight of the fall 2017 slate in Seattle for me has been the fourth edition of the Romanian Film Festival at Seattle, which took place this past weekend at SIFF Uptown. This perhaps isn’t the biggest surprise in the world, as the Romanian New Wave has been one of the most exciting, motivated filmmaking movements of this century, but as far as I can tell, last year’s selection was roughly on the same level as most other country-specific festivals in this city. But with this year, the festival managed to gather, among other movies, three immensely exciting and worthwhile films, all without stateside distribution and from three directors that span the gamut, from Romanian New Wave old guard to venerated festival regular to even semi-subversive newcomer. The latter filmmaker is Paul Negoescu, who has a small but passionate following on the basis of his extraordinary, incredibly low-key debut A Month in Thailand from 2012. His follow-up is the opening gala selection Two Lottery Tickets, a straightforward and totally hilarious comedy. While the previous film side-stepped much of the conventions that have codified the Romanian New Wave – the crushing nature of bureaucracy and the police, a single-minded pursuit of a goal, the need for money – this one manages to take on many of these DNA strands without sacrificing the wry warmness that suffused his first film, even as it moves from a late Dardennes-esque door-to-door approach to the road movie. Concerning a group of three hapless friends who lose a lottery ticket worth six million euros and embark upon a farcical journey to take it back from two thugs they believe have stolen it, Negoescu’s film manages to interweave in genuine emotional subplots that augment rather than distract from the humor. And there is a great deal of comedy here, including a handful of totally sublime setpieces and even more deadpan one-liners, all pulled off in well-composed static shots. Discussing a film’s “timeliness,” regardless of what cultural and political climate it was conceived and produced under, is typically a foolhardy errand, prone to improperly deconstructing its complexities into a simple, digestible message or moral. And while these issues with the approach are only slightly less problematic when applied to Three Billboards Outside Ebbing, Missouri, it’s hard to ignore the litany of long-delayed outrages that have arisen in between the movie’s premiere and release, beginning with the well-judged withdrawal from Fantastic Fest and continuing with the (at least temporary) downfalls of Weinstein, Spacey, etc. With these events in mind, it’s tempting to take the movie as a straightforward condemnation of sexual assault and the indifference with which it was too long received. 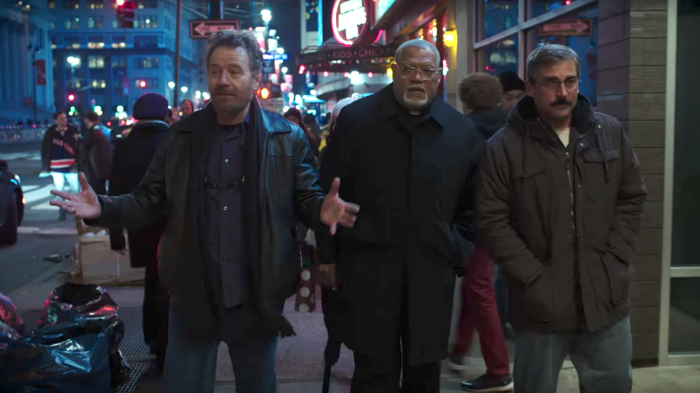 However, for better and for worse, the film is concerned with a more all-encompassing and thorny critique of American heartland culture, with equal parts finesse and head-thumping obviousness. 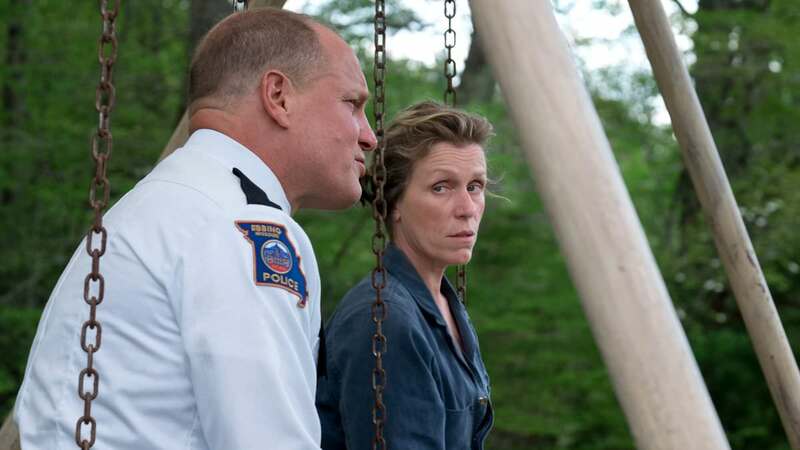 Three Billboards Outside Ebbing, Missouri‘s premise is relatively simple, concerning Mildred Hayes’s (Frances McDormand) attempts to find the man who raped and murdered her daughter seven months prior. At the moment the film begins, the efforts on the part of the town and the police department have come to a standstill. In a ploy to draw attention to the case, Mildred rents the eponymous billboards that point the finger, in bold black text surrounded by red, at Chief Willoughby (Woody Harrelson), the head sheriff in a losing battle with pancreatic cancer. This in turn sets off a torrent of outrage directed at Mildred, triggering a shocking spiral of seething hatred and scorn in the small town. 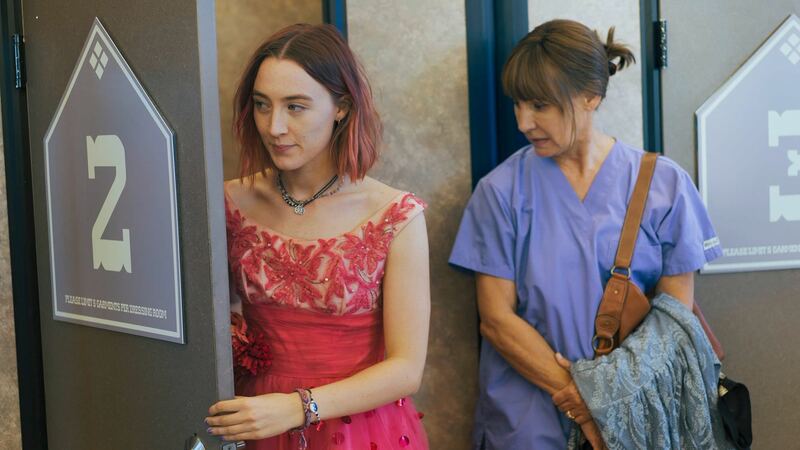 I haven’t seen any of the big new movies out this week (Last Flag Flying, Three Billboards, Thirst Street, The Work), but the one I most want to see is Lady Bird. Ryan’s seen it though, and here’s what he has to say: A24 continues their remarkable streak of films that played at the New York Film Festival and focus on young people with Greta Gerwig’s solo directorial debut Lady Bird. While it has clear strands of DNA from Gerwig’s prior great films co-written with Noah Baumbach, the movie possesses a easy sprightliness all its own. Starring Saoirse Ronan as the eponymous high school student over her senior year as she navigates filial, romantic, and platonic relationships in the staid environs of Sacramento, it is one of the sweetest and most deeply felt films of the year. It’s playing now at the Egyptian, Lincoln Square, Thornton Place and the Seattle 10, which used to be the Metro and probably should be again.